Petren, K., B.R. Grant, and P.R. Grant. 1999. 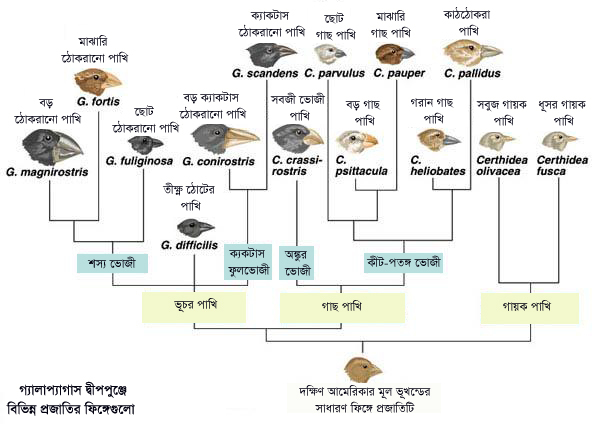 A Phylogeny of Darwin’s finches based on microsatellite DNA length variation. Proceedings of the Royal Society of London B266: 321-329. Coyne, J. Why Evolution is True, Viking, 2009, p.12.